This is a hardback book by the renowned German cartoonist Friedrich-Karl Waechter who worked for the German magazine 'Pardon'. As the title suggests, it contains numerous cartoons of elephants. 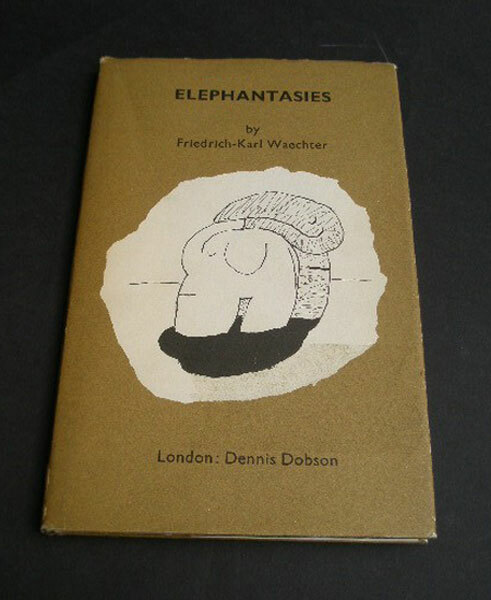 This is a first edition in Great Britain published by Dennis Dobson in 1966. It has a dust cover which is the same as the boards. A great read and would make a brilliant present. Very entertaining. CONDITION: Very good. Dust jacket has 2cm tear at top edge which does seal together. No fading or foxing.